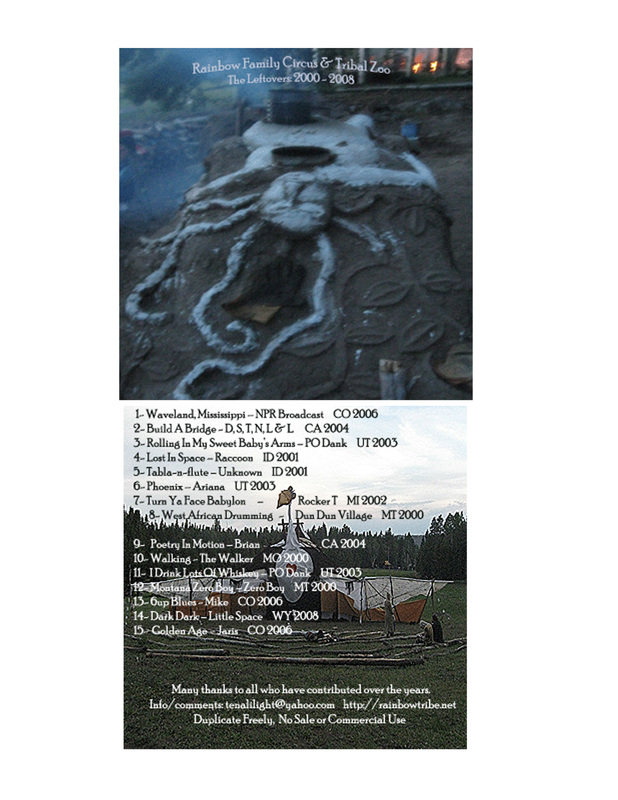 I changed recording equipment after the 2008 rainbow gathering in Wyoming and decided to sort through 9 years of recordings and uncover some gems that did not make it onto a compilation for whatever reason or another. The freshness and spontaneity of these recordings is like the past that never leaves us. Where else can you hear sneezing or coughing in a recording? These are the simple virtues that find their way in the recordings as if they belonged. I suppose they do. And sometimes I find the things that are happening in the background just as interesting as the centerpiece. The way in which the background sounds affect and occasionally advance the overall texture of the piece is why I do this. The spontaneity of recording in an uncontrolled environment keeps the music fresh and alive. At times it feels as if we are searching for the good ol’ days when they are actually these days passing us by, but well, the breath of cynicism is stinking the wind these days. And humanity has a way to know that the only thing we learn from history is that we never learn anything from history. Nonetheless, despite the worlds ’ struggles there is always music to help remind us to lighten up a bit. 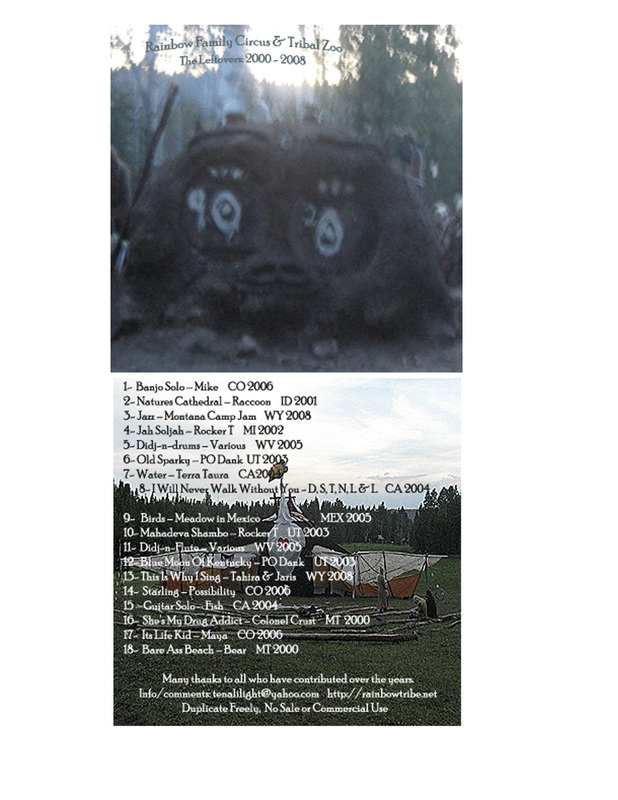 And so here are 33 songs and poems that were recorded from 2000 to 2008 at a variety of the North American annual gatherings, as well as, from the Mexico and Panama gatherings in 2005. Dug up and carried forth. Enjoy! This collection entitled “The Leftovers 2000-2008” contains 2 CDs. Disk 1 has 15 tracks and Disk 2 has 18 tracks. Pass Freely, No Sale or Commercial Use.